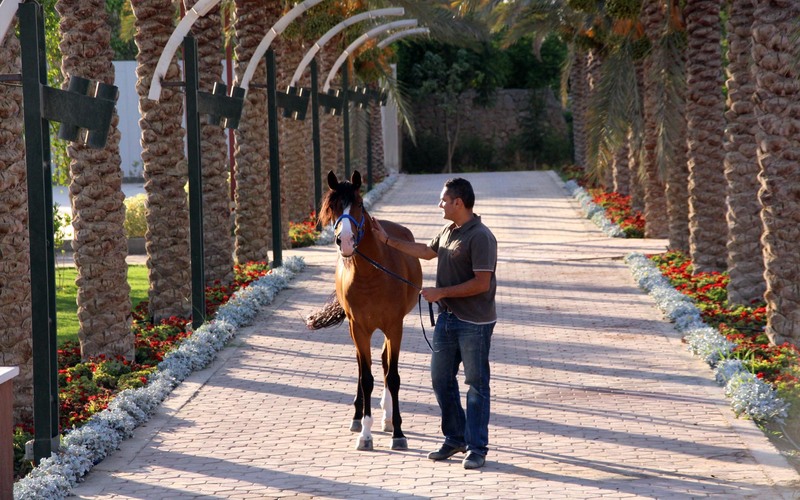 Located on Waslet Dahshur Rd, Sheikh Zayed Area, 6th of October city, Ruya Riding Center is a brand new well established equestrian facility, started operation in May 2016. The purpose built horse riding facility provides no comparison to any other in the Area, due to its fabulous location and fantastic atmosphere, which hits you as soon as you walk through the entrance into the yard. The center offers full boarding service for your horse, so if you are looking to relocate or have already done so and interested in boarding your horse in a five star facility, then this is the ideal place for you and your horse. The Center has fully qualified and certified instructors, from whom you can learn everything from basic riding to more advanced showjumping and dressage training. Ruya Club, Waslet Dahshur Rd, Sheikh Zayed, 6th of October city, Giza, Egypt.